Lovingly Hand Poured Soy in Amazing Scent Combinations. Candle Aromas that Play off Memories & Moments to Savor. How often do you smell something that reminds you of another place, time or even a treasured memory? As humans, we're blessed with both a sense of smell and the ability to associate it with stories from our past. Erica Huff of Wick Habit is especially tuned in on the magic of fragrance, and her small batch candles are designed to fill any room with a story based aroma for all to enjoy! 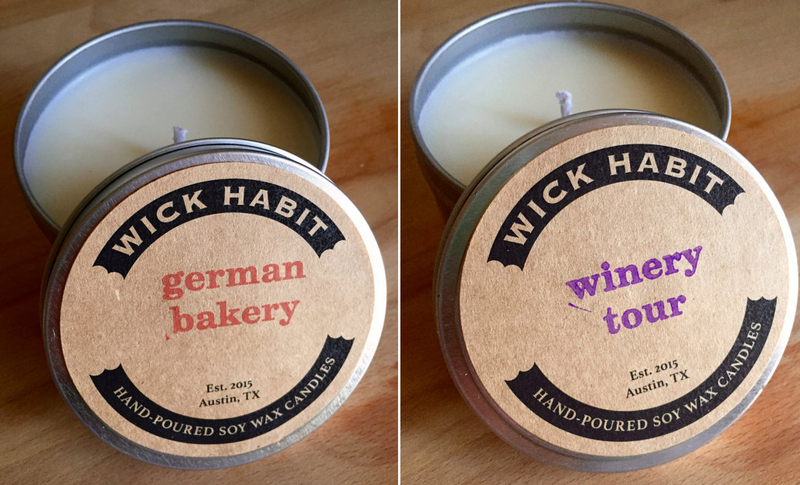 And enjoy you will because these candles are all delightful! 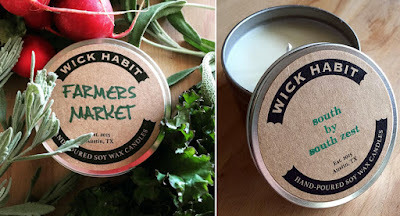 Erica hand pours all natural soy wax to ensure high quality, safe burning candles. Every batch is small and handled with care so you know you're getting the benefit of artisan attention to detail. And yet, what's even more special about these candles are their fragrances. 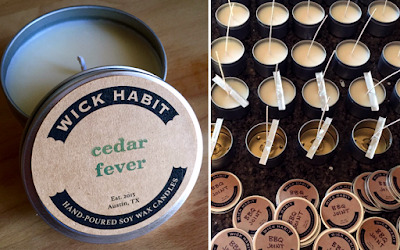 We all know the usual things that smell pleasing, and Erica could have easily followed that path to make good candles. 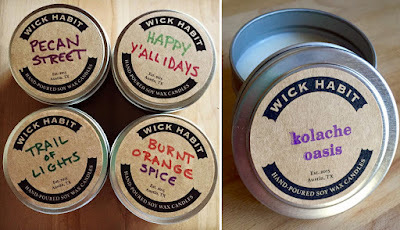 But instead, she opted to make outstanding candles with cleverly inspired, out-of-the-ordinary scents. The complexity in her combinations helps compose a story or a place, Campfire Marshmallow, Winery Tour, Pecan Street, Spa Day and more. Aren't these creative names for a scent menu? 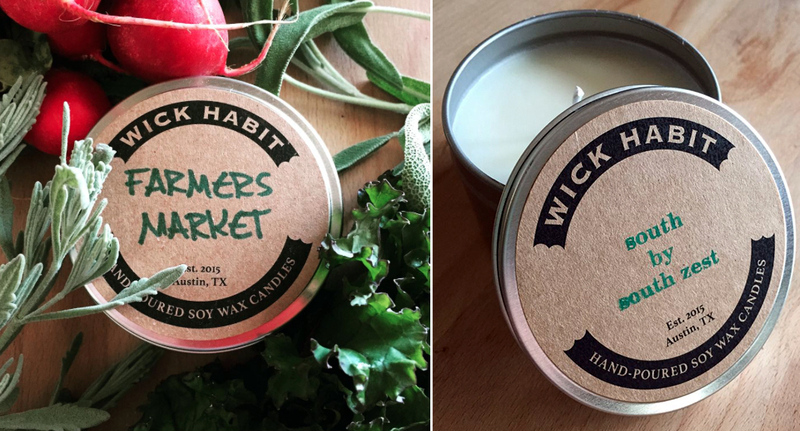 You have to admit once you smell the candle, they do a wonderful job of summing up the aroma with which you can surround yourself simply by lighting a Wick Habit candle. I love seeing an artist so passionate about the impact her goods can have. 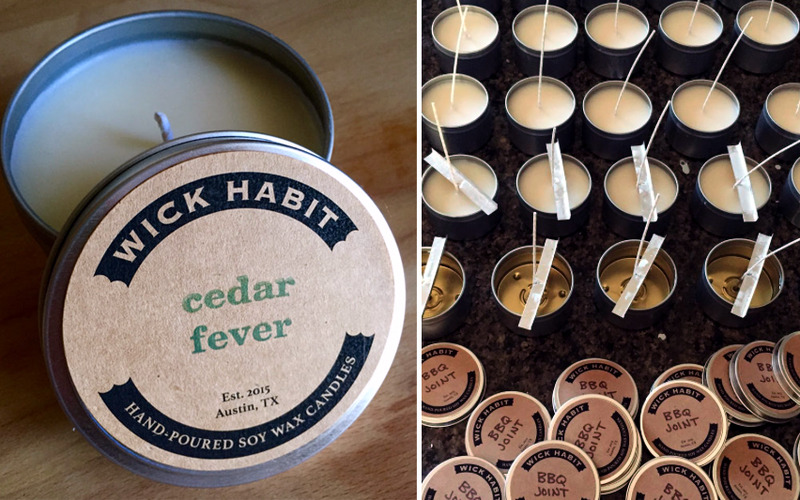 Candles can literally and figuratively brighten a room, and Erica has harnessed that power with her makings!